Outrage - the game to enjoy by "Stealing the Crown Jewels". This version is entired hand made in the UK. The playing pieces are all made from solid 18ct gold or Sterling silver and where appropriate set with rubies, emeralds, sapphires and diamonds. the case is a hand made out of solid wood with brass handle and a lock. The complete set comes in a sturdy carry case. 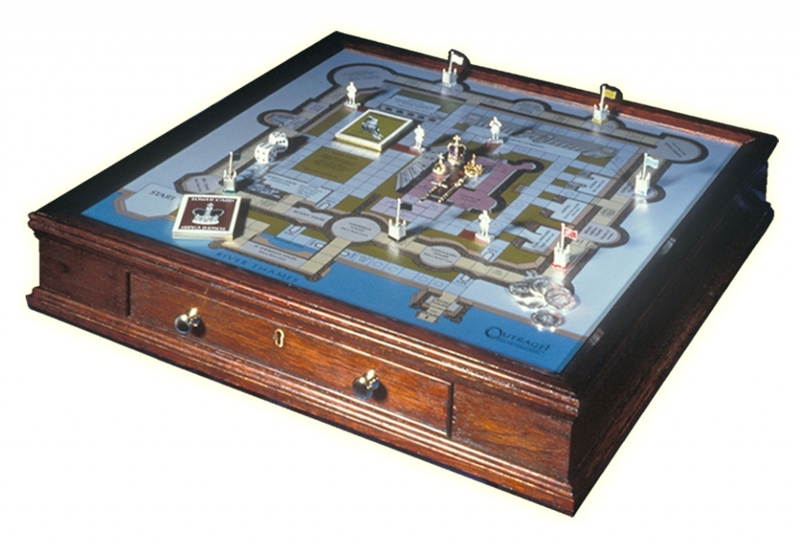 One of the most expensive board games in the world!